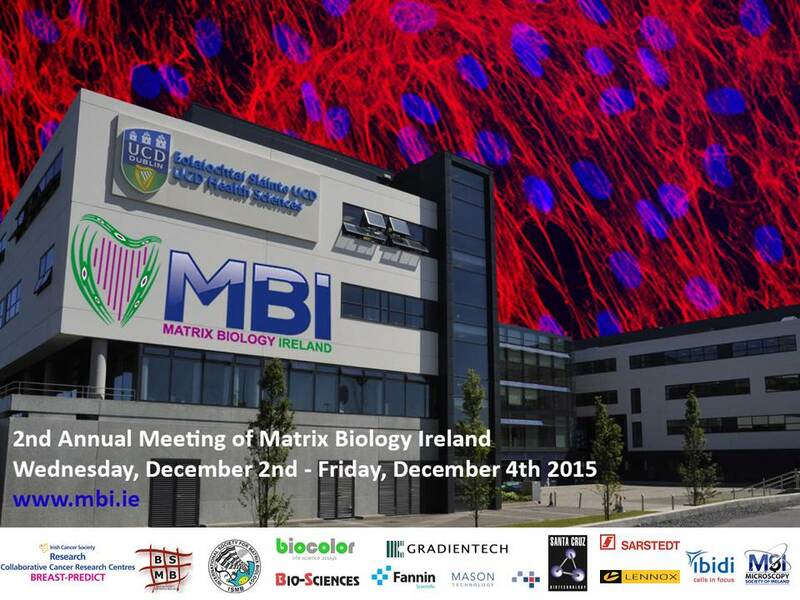 The 2nd Annual MBI meeting was hosted by University College Dublin (UCD) at the UCD Health Sciences Centre from 2nd-4th December 2015. 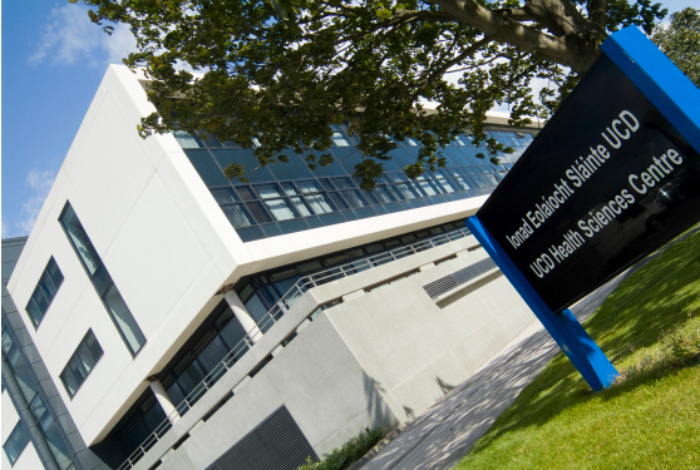 A meeting report can be read here on the UCD Medicine news site. Following the success of our inaugural meeting in 2014, we aimed to attract delegates interested in all practical and translational applications of the biology of the extracellular matrix in all forms & aspects. Specifically, the major research themes of MBI 2015 were: 1) Cancer and the tumour microenvironment ; 2) Fibrosis, and 3) Tissue engineering and regenerative medicine.
" An adhesion complex sitting at the cell-matrix crossroads: physiological, pathological and evolutionary aspects of dystroglycan and its domains"
"Stromal cells in the breast cancer microenvironment: role in tumour support & therapy"
"Cornea regeneration from bench to bedside"
"Tumour engineering: models of tumour development and metastasis"
"The role of the tumour microenvironment in breast cancer metastasis"
"Biological-basis of designing biomaterials for the injured and degenerated host"
"Critical periods and pathways in skeletal mechanosensitivity in embryonic limbs: lessons for osteoarthritis?" "Regenerative medicine-based approaches to the treatment of diabetic retinopathy"